New Year's Day I woke up to a heavy snowfall. 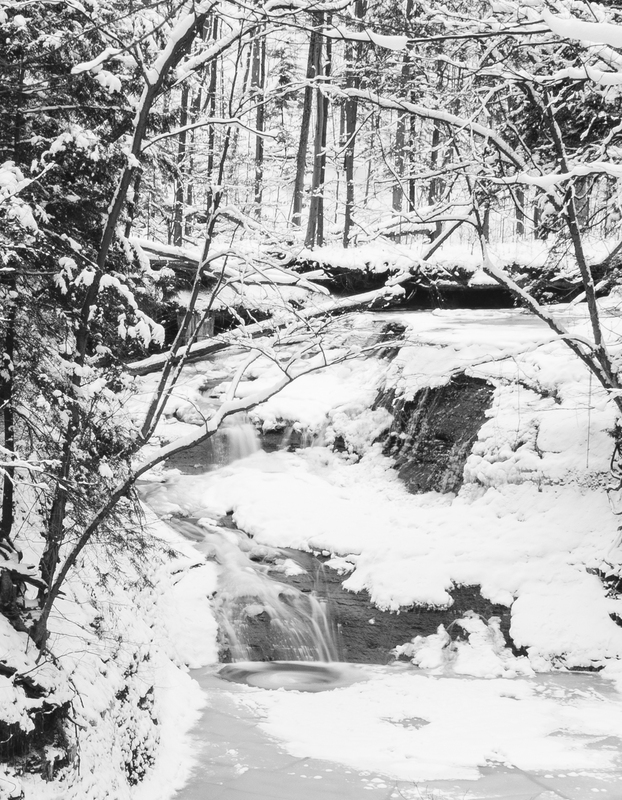 After fussing around the house and snowblowing the driveway, I grabbed me gear and headed over to the Lake Metro Parks Chair Factory Falls. There had only been a couple people there throughout the day (based on the footprints in the snow). The snow that collected on fences and trees had remained undisturbed. The hike down the hill to the falls was a little slick, but manageable. The falls were partially frozen. 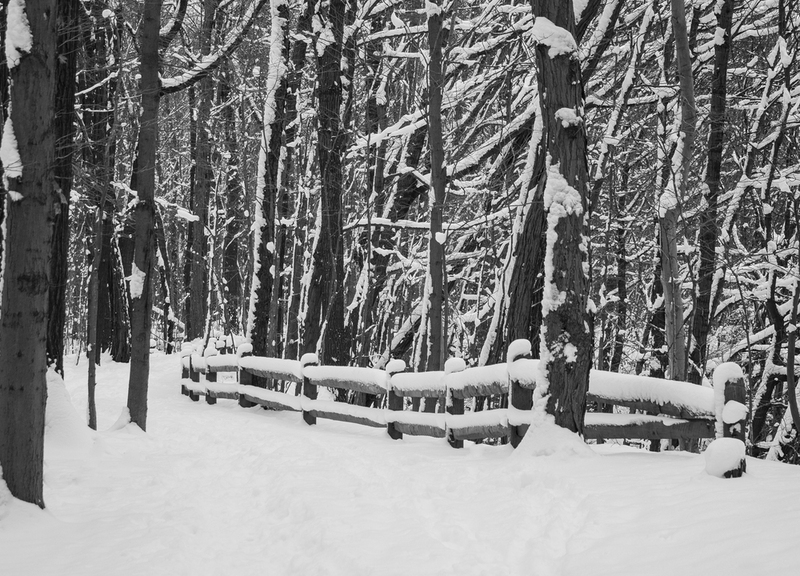 With all the white snow, and lack of color, aside from some evergreens, I decided to convert the files to black and white. Earlier in the week my friend, Andrea, posted a fun art related project for her friends on Facebook. Anyone who wanted to participate was assigned an artist to research and find an interesting photograph of there work. I was assigned Ansel Adams who is known for his iconic black and white landscape photographs. I would say this definitely inspired me to look for or create an opportunity to shoot in black and white.